The 2nd quarter numbers are just weeks away and as analysts begin making predictions, Barron’s has come out with a bold statement that median home prices in New York City will grow by an even greater amount than in the first quarter. Many were surprised by the strength of the beginning quarter of the year. 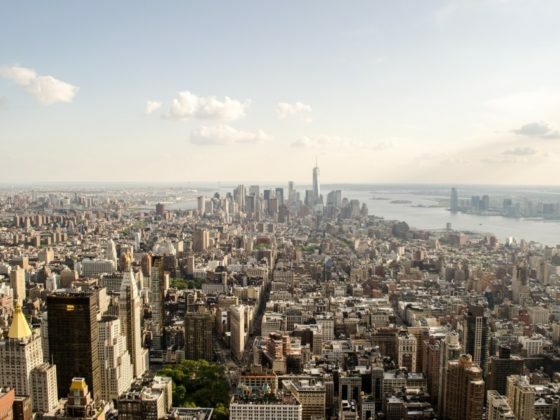 In the midst of a nationwide downturn in the real estate market, New York City apartments rose in median value by 13.2% over the same time in the previous year. Much of this had to do with the incredible strength of the luxury market, which was powered in no small part by the Plaza and 15 Central Park buildings coming on the market. The two buildings will probably play a similar steroid-like roll in the market this quarter. Still, inventory was up in the previous quarter, and a number of sections of the market did not fare as well as the market overall. Nonetheless, it appears that the luxury market is, at least for the immediate future, close to unstoppable. Indeed, the median value of a New York apartment has risen 136% since the recession in 2001, and the luxury market has faired even better. What is particularly striking about Barron’s predictions is that it comes in the face of all the terrible news about the financial markets. This resilience may even add to the overall value of the market, as a number of investors decide that if the collapse of one of the area’s largest financial institutions can’t slow down the luxury market than nothing can. Still, despite the superman-like status of the luxury market, the market as a whole has come down to earth a bit in recent months, and bargain hunters have reported more success now than at any time in the recent past. Manhattan apartments went for 97.5% of their asking price in the previous quarter, and that number is down substantially from the previous year. While it means that there is some better deal to be had, it is still high by historical standards, and buyers should not expect any significant finds. With the low dollar continuing to fuel a considerable level of foreign demand, and the luxury market has weathered the bulk of the financial industry’s storm, it seems that 2008 will be a strong year for the luxury market. It will be very interesting to see what the actual numbers are in several weeks. Another round of double-digit growth will surely boost buying activity.